As a Chayal Boded (Lone Soldier) in the IDF, you are eligible for different benefits. Speak to your Mashakit Tash (army social worker) in your military unit in order to ascertain which benefits you are eligible to receive. Who Is a Chayal Boded? The army will only grant the status of Chayal Boded to a soldier whose parents have spent no more than six of the twelve months prior to enlistment (as residents or on tourist visas) in Israel. Halfway through a Chayal Boded’s service, the army will once again verify the time period the parents have spent in Israel. If the parents have been in Israel for more than half of the army service, the soldier will lose his or her Chayal Boded status. It is the responsibility of the soldier to report parental visits to the army. If the soldier fails to notify the army, the Chayal Boded may lose his or her status with financial repercussions. Most Lone Soldiers receive their Chayal Boded status at their Tzav Rishon. In addition, you may have to sign a declaration stating that you don’t receive any financial support. *All amounts are subject to change. Chayalim Bodedim receive a monthly stipend allowing them to purchase food items in the amount of 150 NIS per month. This benefit is given automatically to every soldier who is recognized as a Chayal Boded. The benefit can be used at any branch of the Supersol supermarket chain anywhere in Israel; and it cannot be carried over from one month to the next. You are forbidden to purchase tobacco and alcohol with this stipend. A soldier who purchases these items loses his or her benefit. You must show your Choger (military ID) in order to make a purchase with this benefit. In order to better understand your housing benefits, speak with your Nefesh B’Nefesh Lone Soldier advisor. A Chayal Boded is entitled to stay, on an ongoing basis, at a hostel run by the Aguda Lema’an Hachayal (Soldiers’ Welfare Association). The hostels are located throughout Israel. Here is a listing of the Beit HaChayal locations around Israel. Each Beit Hachayal serves breakfast and dinner throughout the week, with more extensive meals provided on the weekends. Meals are free of charge for any soldier who is eligible for accommodations at the Beit Hachayal. The option to live on Kibbutz is designed for combat soldiers, and may be more appropriate for soldiers who are serving on closed bases (bases in which the soldier does not return home every day). The Kibbutz is responsible to provide soldiers with laundry service, furnished rooms, a kitchenette, a shower and bathrooms, all free of charge. Aguda Lema’an Hachayal has apartments available for Lone Soldiers throughout Israel. The apartments are available to soldiers free of charge. Soldiers living in these apartments will receive 400 NIS per month directly to their bank account. A soldier who lives in an Aguda Lema’an Hachayal apartment must follow certain guidelines and take care of the furnishings in the apartments. A soldier is required to move out of the apartments after he or she has been discharged from the army. The army will subsidize the rental of an apartment for a Lone Soldier in the amount of 1,300 NIS per month. Your name must be on the contract in order to receive this benefit from the IDF. Soldiers in active duty are exempt from Arnona (municipal taxes) throughout their service. Exemption also extends for up to four months after discharge from the military. (This applies only for soldiers who live in apartments that are up to 70 m2 in size.) To submit a request to receive the exemption, go to the municipality or local council in your place of residence, and bring an Ishur Sadir, rental contract and copy of your Teudat Boded. A Chayal Boded who stays in the army in Sherut Keva (professional pay) is eligible for an Arnona exemption for a period of two years from the date that he or she joined Keva. Nefesh B’Nefesh offers a network of adoptive families. These can either be families with a spare room in their house for long-term stay, or families who can offer accommodation on weekends (Shabbatot). If you are interested in this benefit, please contact the Lone Soldiers Program directly: shaked@nbn.org.il. In addition to the benefits that are received within the IDF framework, a Chayal Boded who is an Oleh Chadash is entitled to benefits offered by Misrad Haklita (Ministry of Aliyah and Integration) and Misrad Habinui (Housing Ministry). An Oleh Chadash who is recognized by the IDF as a Chayal Boded is entitled to a monthly stipend of 540 NIS per month, as long as he enlists within 5 years of the date when the Lone Soldier received Oleh Chadash status. To receive this benefit, the soldier must apply to Misrad Haklita, and present a Teudat Oleh, as well as an Active Service Certificate (Ishur Sherut Sadir), which may be obtained from the Lone Soldier’s unit. A Chayal Boded who is an Oleh Chadash is entitled to this benefit until the end of his military service. However, this benefits may need to be renewed each year at the Misrad Haklita. Misrad Habinui helps Chayalim Bodedim who are Olim Chadashim by offering an increased rental subsidy (402 NIS per month), starting from the Oleh’s 8th month in Israel, until the end of the 5th year from Aliyah. Chayalim Bodedim whose parents live abroad are entitled to a 30-day Meyuchedet (special leave) to fly overseas each year. The IDF does not provide medical insurance to soldiers traveling abroad on leave. Soldiers must take care of insurance themselves, through private insurance companies or travel agents. A Lone Soldier’s direct commander has the ability to grant up to eight days of special leave in Israel. This special leave applies only to visits of one or both parents. Special leave is granted in the event of an urgent and serious financial or other personal problem. Up to 30 days of special leave are available per calendar year, with the first 5 days of leave deducted from regular leave. Special leave can be granted in the event of an urgent and serious financial issue. During the work leave the soldier may receive up to 30 days to live and work outside the army in order to rectify the financial issue. A Chayal Boded is entitled to one Yom Siddurim each month during his/her basic training. After basic training, one Yom Siddurim is granted every two months to take care of errands. The purpose of Yom Siddurim is to visit government offices, banks and any other important errands. This is not deducted from annual leave or special leave days. Leave for personal errands is granted during weekdays, not on Fridays or on the eve of holidays, and with the approval of the soldier’s Direct Commander. Soldiers departing for weekend or holiday leave will be released from the unit in time for them to reach their place of residence by noon, allowing time to prepare for Shabbat or Holidays. A Lone Soldier can request to work privately after completing his work hours at the unit. This request must be approved by an officer in the unit with a rank of Lieutenant Colonel. To submit a request, soldiers should contact the Mashakit Tash of their unit. Dmei Kalkala during sick leave: A Chayal Boded who is on sick leave, at home, for three or more days is eligible for Dmei Kalkala retroactively beginning on the first day of sickness. To receive the benefit, the Chayal Boded should speak to the Mashakit Tash and submit a doctor’s note that indicates the timeframe of illness. Dmei Kalkala during Chufsha Meyuchedet (special leave) due to financial problems: A Chayal Boded who takes a Chufsha Meyuchedet due to financial issues is automatically eligible to receive Dmei Kalkala throughout the leave. The benefit is given automatically, together with the soldier’s salary. A Chayal Boded who is eligible to receive any type of Dmei Kalkala automatically receives enhanced Dmei Kalkala of 150%. To obtain an international calling card, speak to the Mashakit Tash in your unit. Details regarding this benefit are updated from time to time, and are publicized by Machleket Prat. Lone Soldiers eligible for the rental subsidy from the IDF are also entitled to a 50% discount from their electricity bill. For more details, and to activate this benefit, contact the Electric Company hotline by dialing 103. On weekends and holidays, soldiers are eligible to stay at one of the Beit Hachayal hostels, which are run by Aguda Lema’an Hachayal. Lone Soldiers may stay at the Beit Hachayal for free. To be eligible, you must present an Ishur Boded and army ID at the Beit Hachayal. Be in touch with the Beit Hachayal in advance by phone to coordinate the time of your arrival. Spots can be reserved at the Beit Hachayal through the Mashakit Tash as well. Beit Hachayal accommodations are open 24 hours a day and can be used as necessary, even without prior coordination. A Chayal Boded whose parents live abroad is eligible to receive a fully-subsidized flight in order to visit his or her parents. This benefit can be used once, during military service. The full cost of the ticket is covered, including airport taxes and medical insurance. Combat soldiers who are categorized as Aleph+ are eligible after 8 months of service. Soldiers who are Tomekh Lechima (combat support) and are categorized as Aleph are eligible after one year of service. Soldiers in other categories are eligible after the completion of half of their service, or after the completion of twelve months of service, depending on which takes place later. You are entitled to travel abroad for a period of thirty days. You must have approval to travel for 21 days or more. Check that your Israeli and foreign passports are valid for at least six months. If a Chayal Boded Oleh loses a close relative who was living abroad, a flight overseas can be fully covered by Misrad Habitachon. The trip is considered Chufsha Meyuchedet for a period of 30 days. In order to facilitate leaving the country quickly, soldiers should check that both their Israeli and foreign passports are valid and can be easily obtained. Flying to countries where Israeli soldiers are forbidden entry, will not be permitted. If you need to travel due to an emergency, call the Moked Bodedim immediately at any hour of the day at 03-737-5200. If a Lone Soldier needs to move to a new residency, the army can usually help the Lone Soldier save the cost of hiring outside movers. While this is not a rule or legal right, the army has the ability to provide assistance to the Lone Soldier. To receive assistance with moving, one must approach ones’ Mashkit Tash and request to receive moving assistance. Lone Soldiers may need to be flexible regarding the exact timing of when the army provides moving assistance. If the parents make Aliyah in the middle of the first or second year of a lone soldier’s IDF service, the soldier will get to keep their lone soldier status for another 3 months. 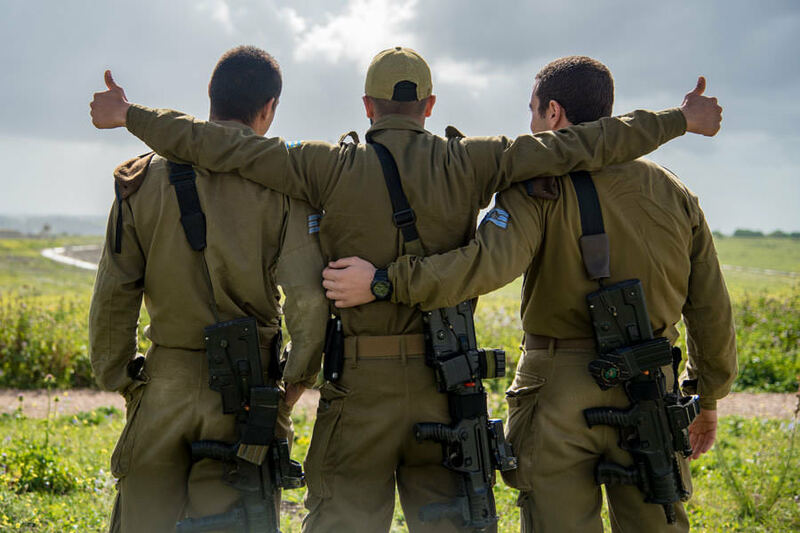 If parents make Aliyah in the last year of a lone soldier’s IDF service, the soldier keeps their lone soldier status until the end of their service. Note: In this case, a soldier will not be granted a free flight from the FIDF as these flights are specifically meant for soldiers to fly home to visit their parents and immediate family. If a lone soldier is serving for 12 months, and their parents make Aliyah in that year, the soldier must speak with their Mashakit Tash, because these situations are handled according to a case by case basis. * One must be considered a lone soldier for 3 months in order for these regulations to apply. * If parents decide to stay in Israel for an extended period of time without making Aliyah, a lone soldier must speak to their Mashakit Tash. It is the responsibility of the soldier to report parental visits to the army. If the soldier fails to notify the army, the Chayal Boded may lose his or her status with financial repercussions. If you are not receiving your full benefits for any reason, or if you need further information and assistance, you can always contact the army’s Moked Bodedim (Chayal Boded call center open 24 hours a day) at 03-737-5200. All amounts of money listed are current as of the time of the writing of this article. Please be aware that they are subject to change. To check the current status, please email: lspen@nbn.org.il.